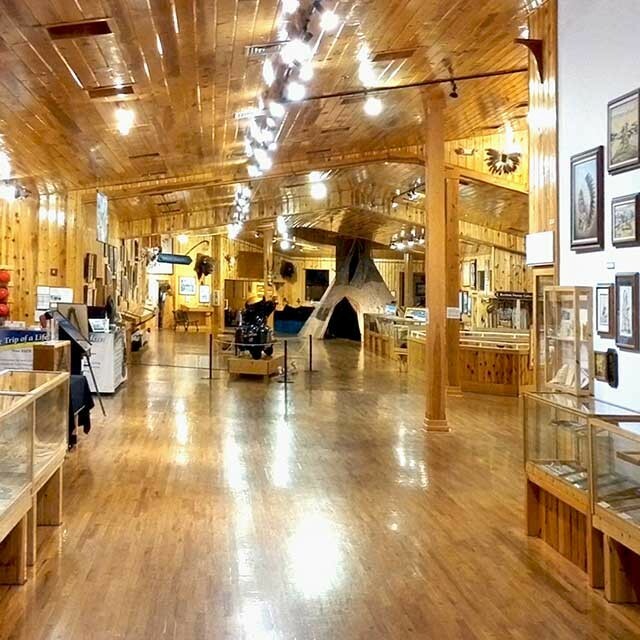 The Mountain Carving Gallery at Crazy Horse Memorial® is a wonderful visual tribute to the story of the Mountain. 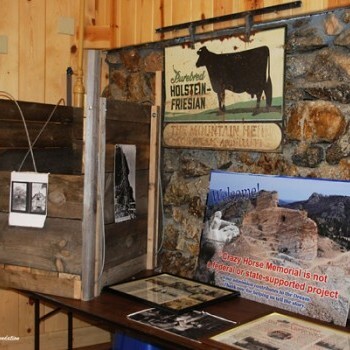 The story of Crazy Horse Memorial® starts with a young man, who was determined to overcome adversity and a Lakota Chief who wanted a monument to honor his people; a vision which grew into a Memorial honoring all North American Indians. Korczak Ziolkowski, Boston born of Polish descent, started out in life already behind. Orphaned at one, he grew up in a series of foster homes. He learned early on if he needed or wanted something he would have to work hard to earn it. He started his artistic career learning woodworking and furniture making; then moved to the art of sculpture. In 1939, Korczak worked with Gutzon Borglum on the “Shrine of Democracy” sculpture, Mount Rushmore. Later that year, Korczak's Carrara marble portrait, "Paderewski, Study of an Immortal," won first prize at the New York World's Fair. 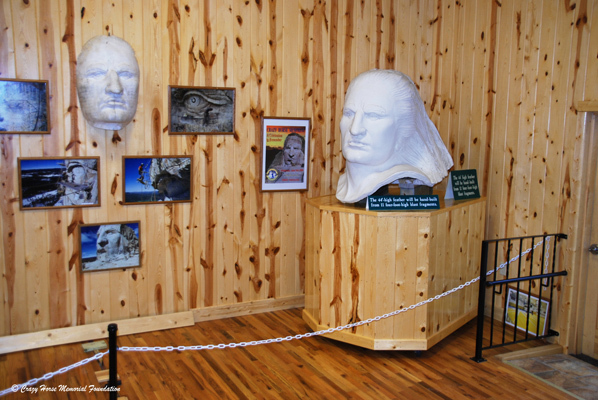 The attention and media coverage of his award prompted Chief Henry Standing Bear to write Korczak a letter appealing to the sculptor to create a memorial for the American Indians of North America. 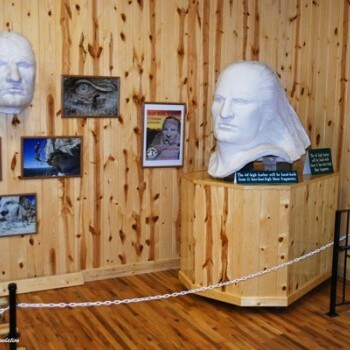 The letter from Chief Henry Standing Bear is displayed in the Mountain Carving Room. He wrote to Korczak: "My fellow chiefs and I would like the white man to know the red man has great heroes also." Korczak would correspond with Chief Henry Standing Bear over the next several years. At age 34, Korczak volunteered to serve in World War II. 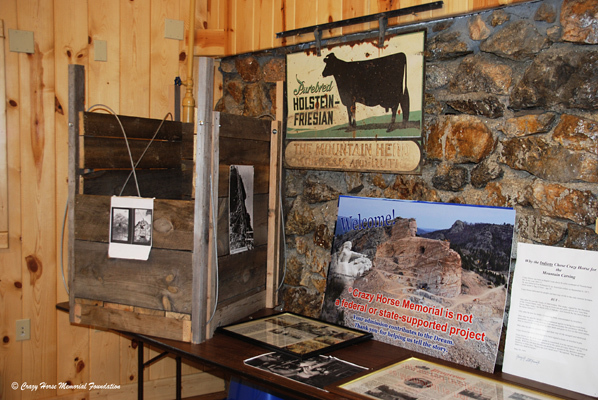 At war’s end, the invitation was accepted and Korczak dedicated the rest of his life to Crazy Horse Memorial®. 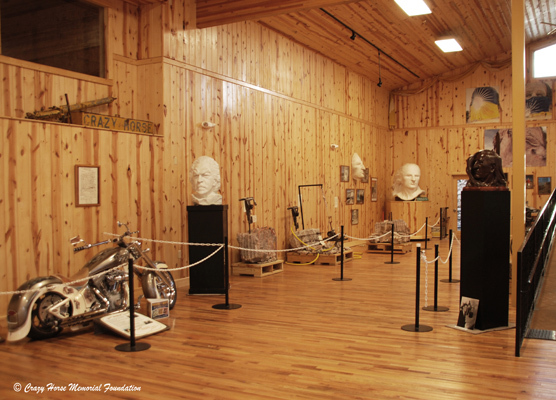 The Gallery also includes pictures of the visit Chief Standing Bear made to Korczak’s home on the East Coast. 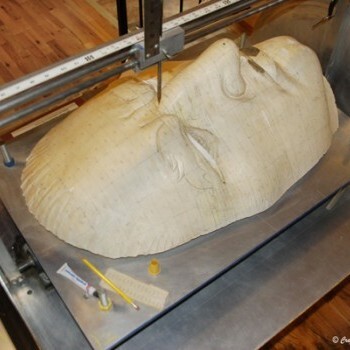 Korczak’s original plan for the Memorial was to start with the Horse’s Head. 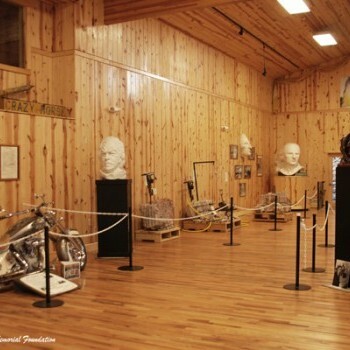 The Mountain Carving Room features the tools Korczak used in the early years of the Mountain, including a ½ size replica of “the bucket”; a wooden basket used with an aerial cable car run by an antique Chevy engine that allowed the sculptor to haul equipment and tools up the Mountain. 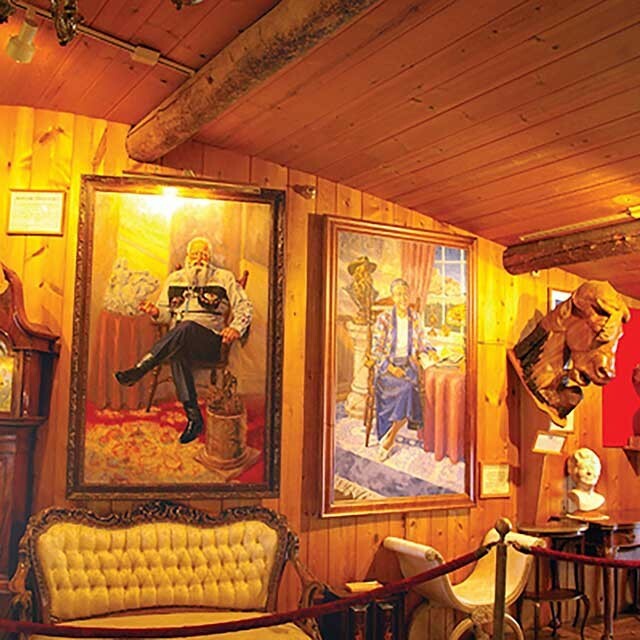 Korczak passed away in 1982, leaving Ruth Ziolkowski and his children to continue with the Crazy Horse dream. 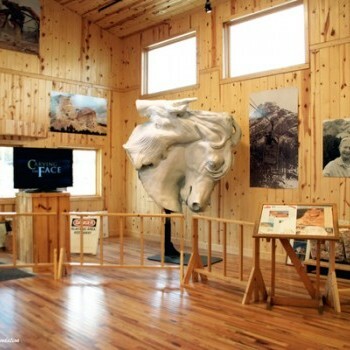 Ruth took charge as Crazy Horse Memorial Foundation’s President and CEO, she decided to change the focus, shifting the work from the 219-foot-tall Horse's Head to the 87 ½ foot tall Face of Crazy Horse. 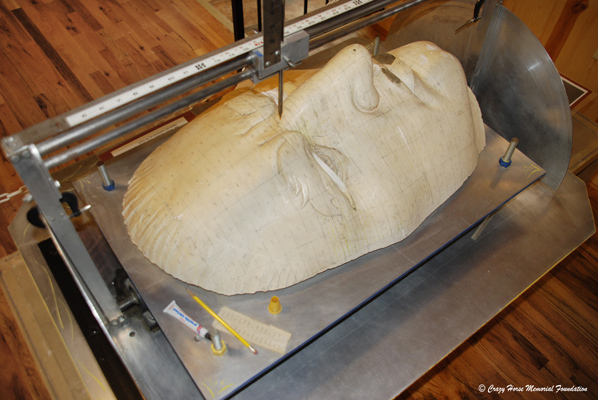 This shift in focus is displayed in the Mountain Carving Gallery by showing the measuring models used to carve the face of Crazy Horse, plasters of Crazy Horse’s face, and the detailed pictorial progression of the Face carving. 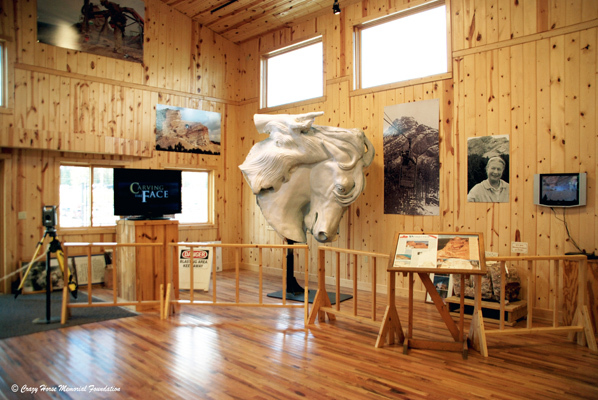 In the Mountain Carving Gallery, you will be able to learn more about the current phases of carving Crazy Horse's Left Hand, Arm, and the Horse's Mane and Head. 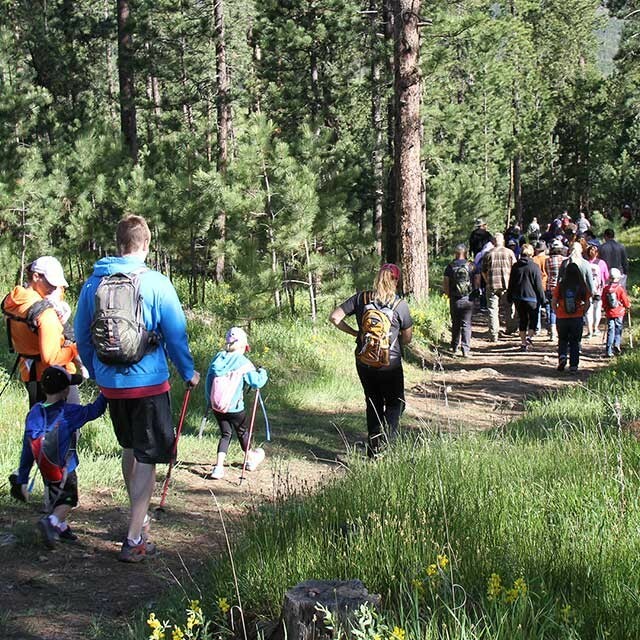 Home to many of Korczak’s early works and is tribute to his early life in the Black Hills.